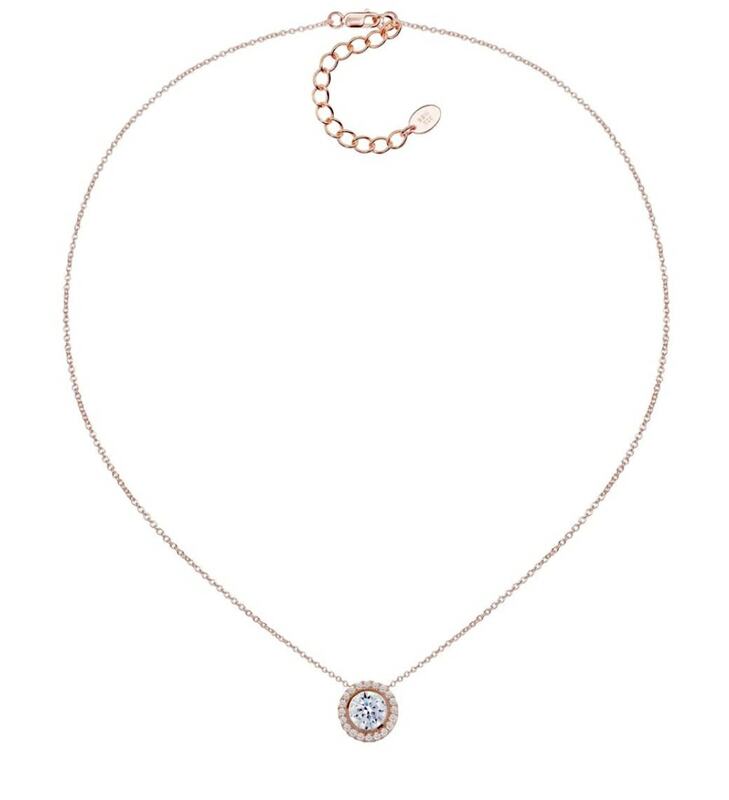 This exquisite necklace is timeless and elegant. Center stone is approx. 2 carats and border halo stones are approx. .5 carats in total. Pendant is 10.5 mm in diameter. Chain measures 16 inches long, but may be made up to two inches longer because of the extension loop detailing. 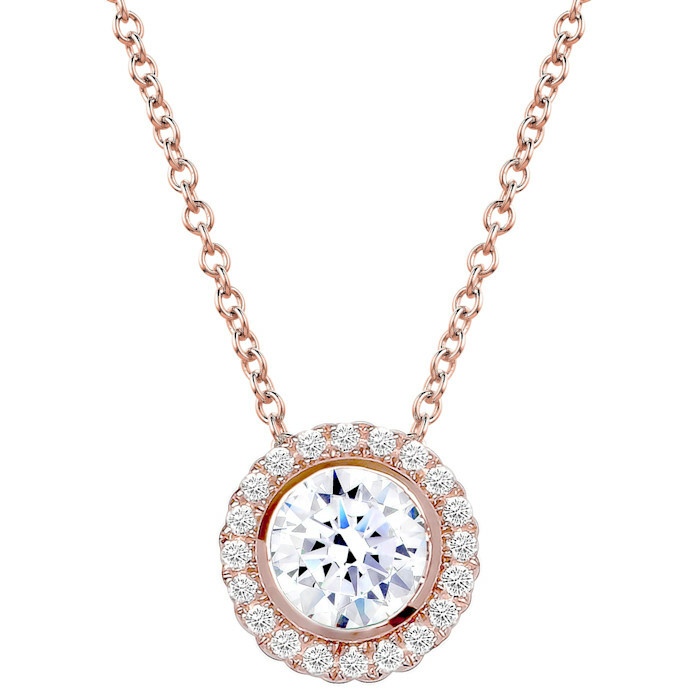 Pendant is exquisite as a layering necklace with our other necklaces as well. Bling by Wilkening rose gold plating is four times thicker than the industry standard to ensure unparalleled quality and durability. 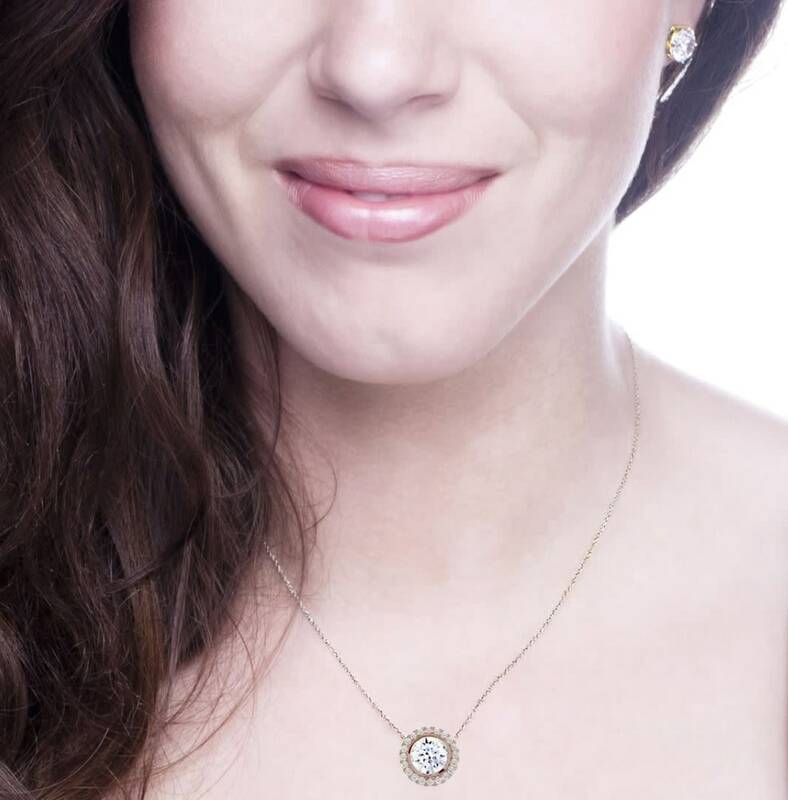 Please view additional image of necklace on model. 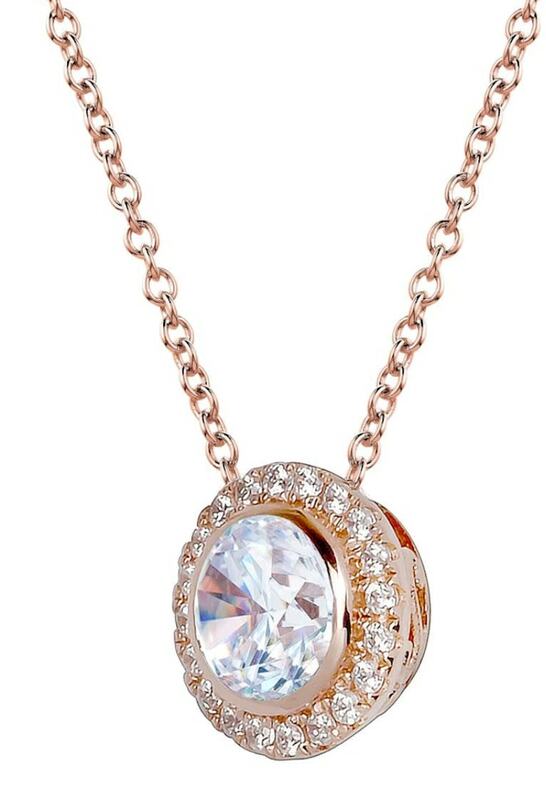 Pendant and chain are sterling silver and are plated with 18 karat rose gold. Necklace will come packaged in a beautiful organza bag with enclosure card, inside of a silver gift box with satin lining and bow.